Sometimes it is good to acknowledge your influences and the people whose work has changed your life into what it now appears to be. Such a person, a profound influence on my story-telling habits, is Garrison Keillor. 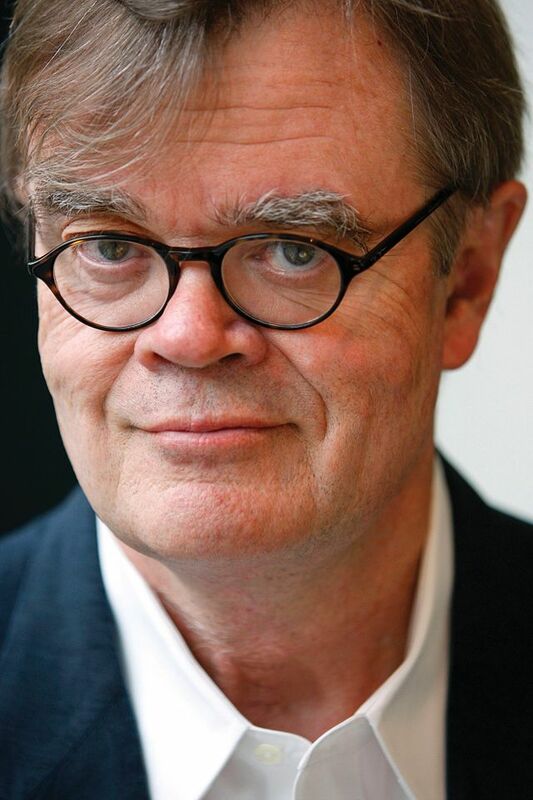 This man in the picture who looks like one of my relatives, is the story-teller, writer, and radio personality Garrison Keillor. The only way to accurately explain this whole honorarium-business is to tell you a story… You see, Great Grandma Hinckley, when she was reaching the tarnished end of her golden years, the latter part of her 90’s, the nearly-a-century mark, always called me “Donny”. Apparently “Michael” was too hard a name to actually remember. To be fair, though, it was my Uncle’s name, and I did look in the 1970’s very much like Uncle Don when he was a youth in the 1950’s. And though Great Grandma had more great grandchildren to keep track of than “Carter had little liver pills,” she always knew that I was one of the smart ones. When I graduated from high school I earned a full four-year scholarship from my dad’s company due to my high grades and test scores. She was very proud of that fact. She told all of her friends at the nursing home that of all of the awards presented at the senior awards assembly, I had won most of them. This was not even remotely true, except when viewed through the smoky, rose-colored lens of great grandmother-hood, but it led to all the people at the home saying things like, “You must be Donny! Congratulations on your great big brain!” Some of them even knew already that my name was Michael. Only now that I am getting old do I begin to understand old-people humor a bit better. So, Great Grandma wanted to give me a really good graduation present. She gave most of her obligatory grandkid presents as hand-crocheted Afghans in bright neon colors that were wildly mismatched because she was color blind. But me, she gave me her radio. Yes, a portable radio roughly the size of a large school lunchbox. It was an RCA… that’s a brand of radio for you young whippersnappers who don’t know anything about what was irreplacebly good in the mid-20th Century. It was one of the most valuable things she still owned, and the TV set was too big to take to college (thank goodness). So I took that ultra-valuable old radio along to college to listen to music while I studied. Dad had hooked me on classical music, so I listened to the Public Broadcasting channel KLYF in Des Moines. That is how I came to be a fan of Garrison Keillor. Every Saturday night, along about 7 p.m., KLYF broadcast another episode of A Prairie Home Companion. I would listen to the gospel music and ads for Powdermilk Biscuits and gossip from the Chatterbox Cafe in Lake Wobegone, Minnesota. And Garrison Keillor, old G.K., would tell stories about the doings in Lake Wobegone, his old (fictional) home town “Where all the women are strong, the men are good-looking, and the children are above average.” It was there that I learned that every good story may ramble on a bit and have a long pause or two, or twenty, but always came to the point in the end. I learned that from Garrison Keillor. But I may owe a bit of that to Great Grandma Hinckley too. Texas has been rainy-er than usual this spring. The sky has been constantly dripping… the grass is green…and the worst kinds of pollen have been thicker in the air than most kinds of soup. I already have breathing problems and COPD, so the soupy air is potentially fatal, but allergies on top of it have made my whole family miserable. Middle son missed school today with bad sinus congestion. I am laid out with headaches, back-aches… even my dang aches have aches attached to them. The dog is unwell. God help us, we need a miracle. 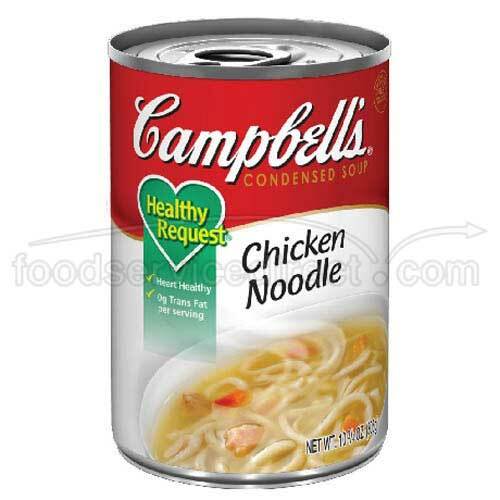 Well, there’s always that miracle food… Great Grandma Hinckley always firmly believed that the only food for a sick kid was Chicken Noodle Soup. I used to hate it as a kid because I only ever ate it when I was sick and had to stay in bed… couldn’t watch cartoons, couldn’t play… all day with aching head and runny nose, eating Chicken Noodle Soup. It even had to be the capitalized kind, or it just wouldn’t do. Chicken Noodle Soup made me sick of being sick. As I grew up into a sickly adult (Great Grandma’s dedication to certain medicinal foods, cod liver oil, Vick’s Vapo Rub, and all remedies of the nasty and smelly sort never completely cured me of anything beyond the enjoyment of being sick), I routinely returned to the old remedies that Great Grandma taught me. So, today, I cooked Chicken Noodle Soup for my son, along with a healthy dose of anti-histamines. I didn’t have a second can for myself, so I did the next best thing. Cambell’s French Onion Soup. I got ahold of a can of that from the back of the cupboard where the fossilized lima beans and canned vegetables all lurk menacingly with expiration dates on them that rival the ages of my three kids. 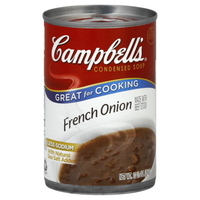 French Onion soup has a unique stench to it that actually relaxes inflamed airways and nasal passages. It helps me breathe. So, I have come to rely on soup in the way that makes Great Grandma smile now, wherever she is (and I guarantee you it is not the hot place… Old Nick could never stand up to Great Grandma’s willpower and righteous indignation). I have grown to like the taste of these medicinal soups… at the very least because they do make me feel better. So, colds and flu, you better look out! I have eaten soup and I defy you… and if that doesn’t scare you, then I will tell Great Grandma Hinckley on you.